Partner Stanley A. Pelli received his B.A. from Bates College in 1977 and his J.D. from Temple University School of Law in 1981, where he was a member and President of the Moot Court Board. He was admitted to the Pennsylvania Bar in 1981 and joined Hecker, Rainer & Brown in Philadelphia as an associate, where he worked in the estate planning, probate, real estate and business formation areas. He was a Florida resident from 1988 to 1989 and was admitted to the Florida Bar in 1990. In addition, he was admitted to the New Jersey Bar in 1991 and the Rhode Island Bar in 1999. He joined Gregory G. Alexander, Esquire, as an associate in 1989. Mr. Pelli has served on the Executive Committee of the Probate and Trust Law Section of the Philadelphia Bar Association and as that committee’s appointee to the Board of Governors of the Philadelphia Bar Association. 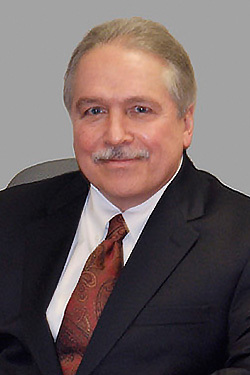 He has been a frequent lecturer for the Pennsylvania Bar Institute on trust and estate-related topics, and a mentor and trainer in probate and estate planning areas for the Volunteers for the Indigent Program of the Philadelphia Bar Association. He is a member of the Florida (Sections on Real Property & Probate and Elder Law), Pennsylvania, Philadelphia, and American Bar Associations (Section on Real Property, Probate and Trust Law), and the Philadelphia Estate Planning Council.